Citing civil rights violations, Mayor Mike Duggan is pushing back against Michigan’s long-standing no-fault insurance policy. It’s no doubt Detroit takes its automobiles seriously, so much so that the city’s passions extend to everything auto-related—including insurance. 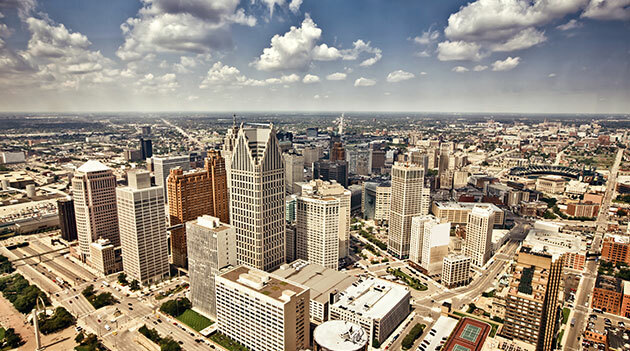 Motor City Mayor Mike Duggan, along with eight like-minded residents, recently sued the state of Michigan over its long-standing no-fault car insurance policy. The group alleges the mandatory coverage is patently unfair, sticking residents with a bill so high that it infringes upon their personal freedoms. According to Duggan, the rate runs afoul of civil rights, with its mandatory nature inhibiting state citizens’ rights to due process or expectation of fair treatment under the law. Specifically, the mayor is asking a federal court judge to declare the 1973 rule establishing Michigan’s no-fault plan as unconstitutional. Should they win, Duggan and the others want to give the state six months to adjust the law to bring auto insurance rates down. If no relief can be found in that timeframe, the complaint goes on to suggest the no-fault system should be declared “null and void” at that point, freeing up Michigan legislators to adopt more traditional insurance models. The no-fault rule has been controversial since the time of its inception. Under the measure, Michiganders are barred from suing one another in the case of a car accident and must instead file any claims with their own insurance company, regardless of who was responsible for the wreck. Residents must also pay for unlimited personal injury protection (PIP), a specific type of plan that can cover up to a lifetime’s worth of medical bills in the wake of an injury-causing accident. While it was originally intended to bring down insurance costs, many have argued that the law—and especially its PIP stipulation—is responsible for keeping Michigan perennially at the top of the charts when it comes to auto insurance bills. And it’s not the first time the measure has come under attack. A bill to dismantle and replace the system was introduced by state legislators last year, only to be rejected by the state House of Representatives. Should Duggan succeed, however, the politicians may need to dust off those plans.